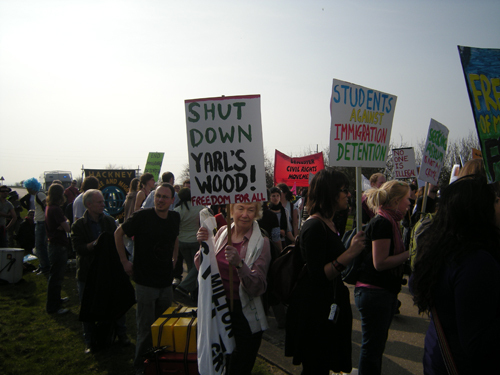 You are currently browsing the tag archive for the ‘Yarl’s Wood IRC’ tag. 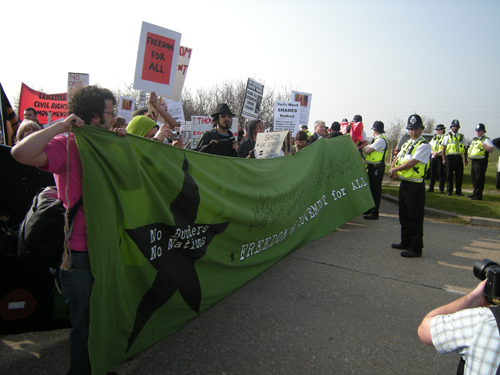 On Saturday No Borders activists from South Wales joined around 200 people from across the country in Bedford for a march on Yarl’s wood immigration prison to call for an end to the detention of migrants. This particular facility has the capacity to hold 405 people, and specialises in locking up children. 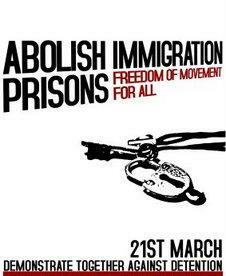 The march coincided with other protests against immigration detention centres in Manchester and Edinburgh.